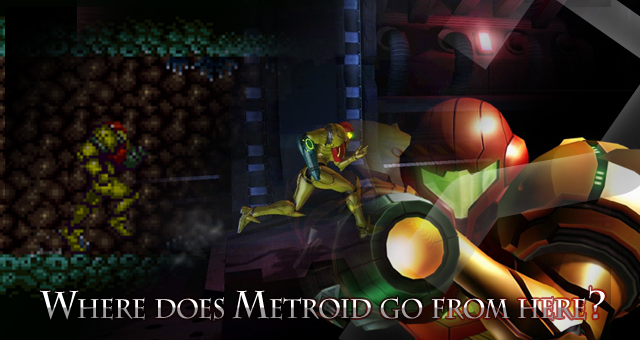 Where Does Metroid Go From Here? Warning: The following article contains spoilers to several Metroid games, including Metroid: Other M.
Amidst all the hype and rumors surrounding Project Cafe is one rumor that made my heart sink. As you may have heard, there’s whispers that there just isn’t a fanbase for the Metroid franchise anymore. It’s no secret that Metroid: Other M did not reach the expectations Nintendo had in mind. It was probably the most hyped up Metroid game to date, what with the developers saying they were so pleased with their efforts that it brought them to tears, and judging by the fact that it was given an epic live-action commercial. When the game met with mixed reviews from game raters and underwhelming sales it wasn’t long before it started hitting the bargain bins in some stores. Now it seems as if Nintendo may be putting Metroid on the backburner. As a big fan of the series this is disheartening, especially in the wake of the Project Cafe news. While many of the big Nintendo franchises like Mario and Kirby tend to have a lighter feel and a cartoon-like look to them, Metroid is a core franchise that dives right into darker themes and more realistic graphics and environments. With a Nintendo system on par or surpassing all the current gen consoles, I was really looking forward to see what Metroid had to offer with this newfound power at its dispossal. Given the poor sales and reviews generated by Other M, it’s understandable that Nintendo doesn’t want to devote the time, energy, and finances to create a Cafe Metroid game any time in the near future, but it’s really a shame to see such potential wasted. Is this the end of Metroid? I don’t believe so. While Metroid has never sold as well as its big brothers Mario and Zelda, and while the perception is that the fanbase is growing thinner, Metroid still has too much of a pull to just die. So where does Metroid go from here? How can Nintendo restore the excitement of Metroid and justify an eventual Metroid game for Cafe? It’s not just the earliest titles in the Metroid series that could use some love. Metroid had a pair of very solid Gameboy Advance titles, and with many people trading in their various DS systems for a 3DS, which lacks GBA compatabliity, it would be great to see Zero Mission and Fusion available in some format as well, be it the Virtual Console of the 3DS or the Wii. Unlike the creation of a brand new game on a home console, Virtual Console offers players an easily accessible Metroid experience with little financial risk on the part of Nintendo. It’s time for Nintendo to take advantage of this, both for the sake of the longtime fans of the series, and for the possibility of acquiring new fans. It’s not just Nintendo that is at a financial risk with the release of a new game. A gamer who’s never had the chance to try his or her hand at Metroid would feel much safer spending five to ten dollars on a game than forty to fifty. Once they’ve had a taste of what Metroid has to offer, there’s a much better chance they’d be willing to open their wallets for a more expensive Metroid. That’s right. In the opinion of this writer, this is something that needs to happen. Though not the highest selling game in the series, most would agree that Super Metroid is the most beloved game in the franchise. Critically acclaimed, Super Metroid has appeared on countless lists of the best Super Nintendo games, and even the best games of all time. Super Metroid has at times reached as high as the ninth highest rated game on GameRankings.com, and at the time of this article’s writing it holds the fifteenth highest spot, as well as the number one game of 1994 and the number one Super Nintendo game of all time. At the time of its release it had state-of-the art graphics and one of the best musical scores in video game history, and despite the rarity of in-game text, voice acting, or cutscenes, it managed to portray an emotional and memorable plot. Super Metroid found its way into the hearts of many gamers of the Super Nintendo era. It’s time not only for the longtime fans of Metroid to re-experience a classic, but for the modern generation of gamers to immerse themselves in one of the greatest games of all time. So how should Nintendo go about remaking a classic? I suggest they take all the things we loved about Super Metroid way back then, and make them fresh again. Super Metroid wowed us with its graphics in 1994, and the 3DS gives it the opportunity to do that again. While its best to keep the gameplay on a 2D plane, the 3DS offers the perfect opportunity for fleshed out backgrounds and fully 3D environments, in both senses of the term. Think in terms of what Donkey Kong Country Returns but with the added affect of 3D visuals to make planet Zebes more beautiful and immersive than ever before. Cave Story, a game often compared to Metroid, is due for its own 3D makeover later this year, and Nintendo could look to its visuals as a starting point for what to do with Super Metroid. 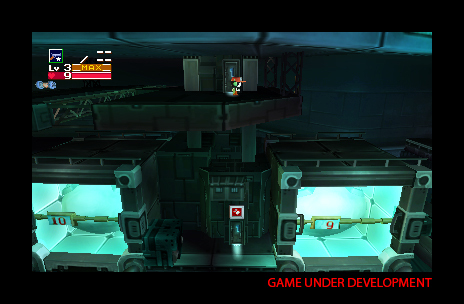 Metroid inspired Cave Story, and now it’s time to return the favor. Similarily the music of Super Metroid was incredible at the time, but it’s been seventeen years, and it’s time for an update. I would not suggest the blasphemy of removing or adding any tracks, but just upgrading the quality. Would it be too much to ask for orchestarted music? Given that after twenty-five years the Zelda team has finally caved and decided to incorporate orchestrated music into Skyward Sword, I think not! 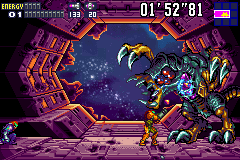 The 3DS also gives Super Metroid the opportunity to immerse the player more thoroughly into the story of the game. I’m not suggesting the long-winded monologues we heard in Metroid: Other M, but some added cutscenes in critical parts of the game could really add depth to the emotional, but relatively thin storyline, while making good use of the raw power and 3D effects of the 3DS. Super Metroid’s intro recaps the events of the first two games in the series using flashback scenes, and with the 3DS, a much more interesting portrayal of this can be achieved, not unlike Other M’s recap of Super Metroid’s ending. At various other points of the game in which Samus makes discoveries that a new player might not understand the significance of, such as the discovery of the “Mochtroids”, or the areas leading into Tourian where there is evidence of Metroid activity, well executed cutscenes could more thorougly key the player in to the significance of what Samus is encountering. One final area where Nintendo can improve on the gaming experience is to add in something that wasn’t really available upon the game’s initial release: online gameplay. Nintendo President Satoru Iwata has all but admitted that Nintendo has dropped the ball when it comes to providing players with the online service they deserve. Despite this fact, and despite the online abilities of the 3DS, the online experience of the 3DS has been severely underwhelming thus far, for both first and third party games. Games like Madden and Bust-A-Move lack online multiplayer that could have vastly improved the experience of the games, and I can say that I personally decided not to buy Bust-A-Move based soley on the fact. Meanwhile Ocarina of Time 3D won’t feature an online leaderboard for the Boss Challenge mode, and Star Fox 3D won’t support online play. Given that Metroid isn’t generally thought of as a multiplayer game, there are some limitations as to what online abilities could be added that would really enhance the gameplay, but a couple of ideas popped out to me. Super Metroid’s non-linearity led to it being one of the most well-known games for speed-runs. With the largely open environment of Planet Zebes ripe for exploration, players found just about every way possible to find loopholes in the game and cut through the game at incredible speeds. While some view this as the game being “broken”, it actually just added to the game’s popularity and legacy, and it was a fun new way for players to experience the game. Thus, I don’t think the “broken” parts of the game need to be “fixed”. Rather, those players who wish to fully explore every last corner of Zebes as intended are free to do so, while at the same time an online leaderboard should be available for those who wish to exploit the bendable rules of the game to reach the quickest possible times. And who knows, with the prospect of 3D video recording as a feature for the 3DS, Super Metroid 3D could even contain a bulit-in recorder for those who wish to share their feat with the world. The other obvious way Super Metroid could be enhanced via online gameplay would be for a multiplayer battle mode. Buliding on the multiplayer modes of Metroid Prime: Hunters on the DS and and Metroid Prime: Echoes on the Gamecube, Super Metroid 3D would have the potential to really give gamers an impressive and unique multiplayer shooter experience. 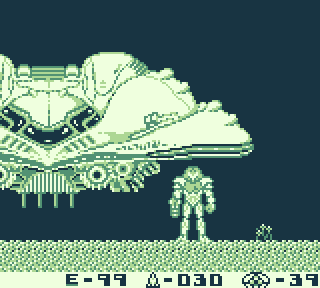 While the single player mode would of course keep players on a 2D plane in a 3D environment, multiplayer battle allows for the Metroid team to really re-create planet Zebes in a fully 3D playing field. With playable areas like the lava-filled and threatening Norfair, the technologically advanced Tourian, and the seemingly haunted Wrecked Ship, players could experience Zebes in a whole new way, all the while snagging bragging rights over their friends or online acquaintances who they just shot in the head with a plasma beam. My final suggestion to Nintendo is that, when the time is right, don’t leave this fantastic franchise hidden away in the cupboards forever. Take time to re-establish your fan-base and draw in new fans, and take time to really consider what the fans want and need, and give us the Metroid we deserve. I can’t speak for all the Metroid fans in existence, but I can sure sound off on what I think Metroid needs, based on my own personal convictions, and those that I’ve heard from fans and reviewers alike. A common complaint that I have seen and that I agree with is that its time for the Metroid series to stop cloning Samus’ main enemies to bring them back for her to fight time and time again. It may have been a cool and eerie twist in Metroid Fusion when Samus discovered that the Galactic Federation was cloning Metroids, but when Other M, a prequel to Fusion, gave us the exact same plot “twist”, it lost all effectiveness, and just left us with a bad taste in our mouths. Just because the series is called Metroid doesn’t mean Metroids themselves always have to be the main threat to Samus and the universe as we know it. Just as Zelda has had games wherein Zelda was either completely absent or only mentioned in flashbacks, the Metroid series needs to find a way to give Samus a universal threat that is not something that was supposedly completely eliminated several games ago. Have you forgotten about the Bottle Ship’s cloned Metroids already Samus? It doesn’t just stop with Metroids. How many times is Ridley going to be cloned before the Space Pirates just finally let someone else take charge? After multiple failures, deaths, and rebirths, it’s time to give him a rest. Another complaint fans had with Other M was that Samus’ encounter with Ridley in the game led to her having a complete emotional breakdown. Given that he murdered her parents in front of her when she was three, this would seem a normal reaction…if it was the first time she had encountered him since. Or the second. Or the third. But by this time in the series Samus has dispatched him so many times there just doesn’t seem to be any reason for her to have this unrelenting fear of him anymore. Samus’ overall personality in Other M drew the ire of players. For years Samus has been the lone wolf and silent type protagonist, and the assumed badass, separating her from the emotionally unstable or male-reliant female characters of other games. Other M was the first game to really divulge any of her personality, and while I have no problem with the game showing a bit of her softer side, it seemed like that was just about all she had. Samus’ emotions ranged from monotonous, feelingless monoluges to emotional and mental breakdowns with little in between. All the while the obvious “daddy issues” between Samus and Adam pervaded the entire storyline. There’s showing the soft, emotional side of a presumed hard-nosed character, and then there’s just overdoing it, and Nintendo crossed that line with Other M. Samus’ reputation as the toughest bounty hunter in the galaxy needs to be restored. Both the issue of putting recycled enemies and restoring Samus’ pride can be rectified with a common solution, and one that fits perfectly into the franchise’s overall storyline as well. As I see it, the Metroid timeline can be divided into three sections, each with a distinct antagonist. The original three games all deal with Space Pirates and their attempts to use Metroids as weapons. With the Prime series, although the Space Pirates still feature in a prominent way, it becomes increasingly obvious that phazon-infected Metroid Prime/Dark Samus is calling the shots, and is much more of a threat than anything else. The Space Pirates at times become more like pawns in Dark Samus’ plots. Finally with Fusion, and now with its prequel Other M, the shady dealings of the Galactic Federation are beginning to come to light, and the lines between good and evil in the Metroid universe are beginning to blur. Chronologically, Other M predates Fusion, and depicts a rogue group of Federation scientists performing illegal biological reserach against the advising of the Federation itself. They go so far as to create Space Pirate-esque creatures to use as biological weapons, clone and genetically alter Metroids to attempt to make them invincible to cold, their ownly known weakness, and even recreate Mother Brain in the form of an android to control the entire operation. Although the majority of the staff of the research station, as well as the Space Marines sent in to investigate it, perish in the events that follow, Samus manages to keep the devastation from extending on a galactic scale, and the event is put in the past. As the events of Fusion show, however, the corruption of the Federation runs much deeper than just what was seen on the Bottle Ship. Again Samus discovers an operation to clone Metroids, but this time it seems to have the backing of the Federation. 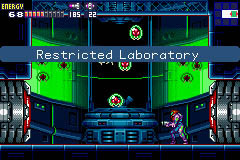 Not only that, the environments of SR-388, the home planet of the Metroids, are specifically being replicated aboard the B.S.L research center in order to control and speed up the process of Metroid evolution. What’s to keep the Federation from doing exactly what they hired Samus to prevent the Space Pirates from doing? With the conditions seen in Fusion, the Federation is on the verge of creating an unstoppable army of Metroids, capable of reaching full maturation as Omega Metroids in just days. If that action alone wasn’t enough to condemn the Federation, their attemps to capture the SA-X certainly were. As explained in Other M, the Federation’s stance on biological warfare is that it is not to be used, yet in Fusion, the Federation attempts to isolate and contain Samus while they send in a team to capture the SA-X, a powerful parasite that has completely mimicked a fully-powered Samus. With all of Samus’ weapons and abilities, as well as the ability to asexually reproduce, the SA-X by itself has the potential to be the greatest biological weapon ever to exist, yet instead of ordering Samus to destroy it, the Federation forbids Samus from doing so and attempts to catpure it, in direct violation of the peaceful and benevolent ideals for which the Federation is supposed to stand. The SA-X and an Omega Metroid, two of the Galactic Federation’s planned weapons, engage in battle. Metroid fans deserve a darker, more realistic, edgier, more immersive Metroid experience with a hero they can really stand behind. It’s time for Samus to stand up to an enemy that is more powerful and more menacing than Space Pirates, Metroids, or phazon. It’s time for Samus to stop crying over Adam and to uncover the deep, dark secrets of the Galactic Federation. In conclusion, it’s unrealistic for Nintendo to expect Metroid ever to sell as well as some of their other token franchises like Mario or Zelda, but that doesn’t mean it’s time to abandon the franchise. Metroid hasn’t run out of possiblities, it’s just taken some turns it shouldn’t have taken, and re-used old concepts too much. There’s plenty of potential for a new, better Metroid experience, and Nintendo would be making a huge mistake to deprive Project Cafe of a Metroid game. So where does Metroid go from here? That’s up to Nintendo. Let’s hope they make the right choice.